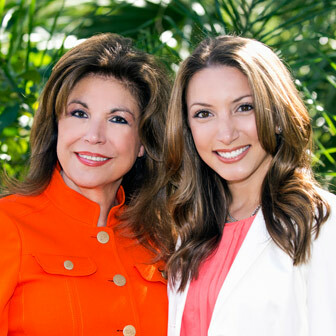 Working together to achieve the real estate goals of their clients, Denise and Nicole Mei bring diverse skills, strengths and experiences to complement their shared passionate approach to every transaction. After attending the University of Tennessee, Denise began a 22-year career as a flight attendant with American Airlines. An entrepreneur at heart, Denise leveraged her managerial talent and wealth ... more.of experience in service as the co-owner of both Café Baci Restaurant and Classic Toys in Sarasota. This background helped her transition to the real estate industry in 2011, as she is renowned for her unwavering commitment to her clients and providing successful results. An active part of the community, Denise has chaired and co-chaired several fundraising events and served on a number of organizational committees, which include the Y Foundation, the Make-A-Wish Foundation, United Cerebral Palsy, Children First and Girl’s Inc.
Raised in Charlottesville, Virginia, Nicole understands the lure of living amongst striking natural beauty. After earning a bachelor’s degree from Elon University in North Carolina, Nicole entered the vacation rental industry—most recently serving as the sales and business development associate for RVA, Resort Vacations. Her background in property management, specifically vacation properties, proves invaluable to buyers interested in purchasing income properties. Nicole is married to Denise’s son, Michael, who owns and manages Café Baci Italian restaurant with Denise’s husband, Roberto.